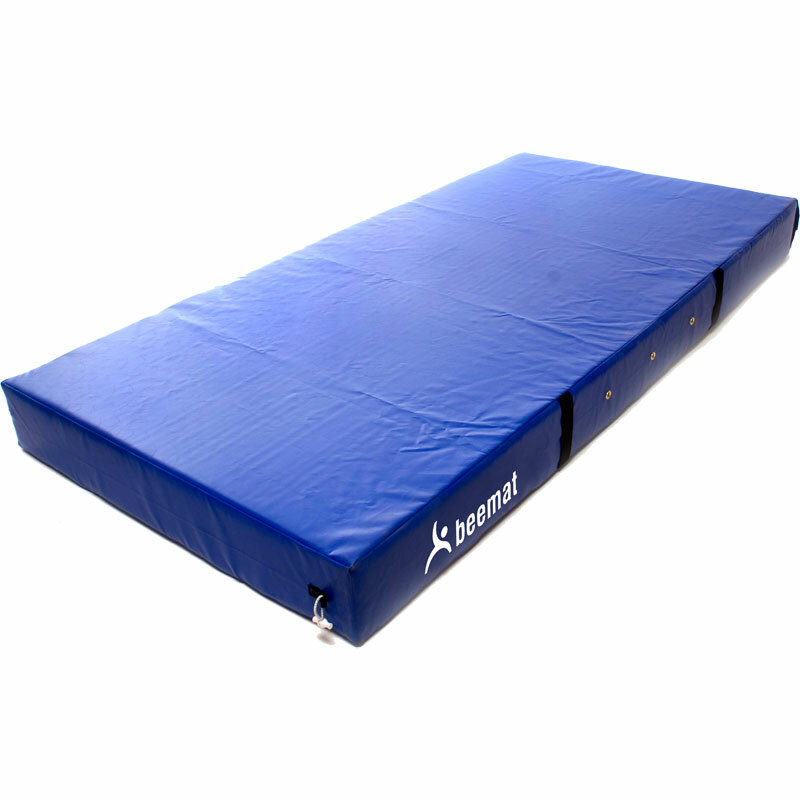 Beemat ® Safety Mattresses are part of the Beemat brand of gymnastic mats which have been developed over many years and provides high quality products for all ages in education and recreation from pre-school groups to athletics clubs. 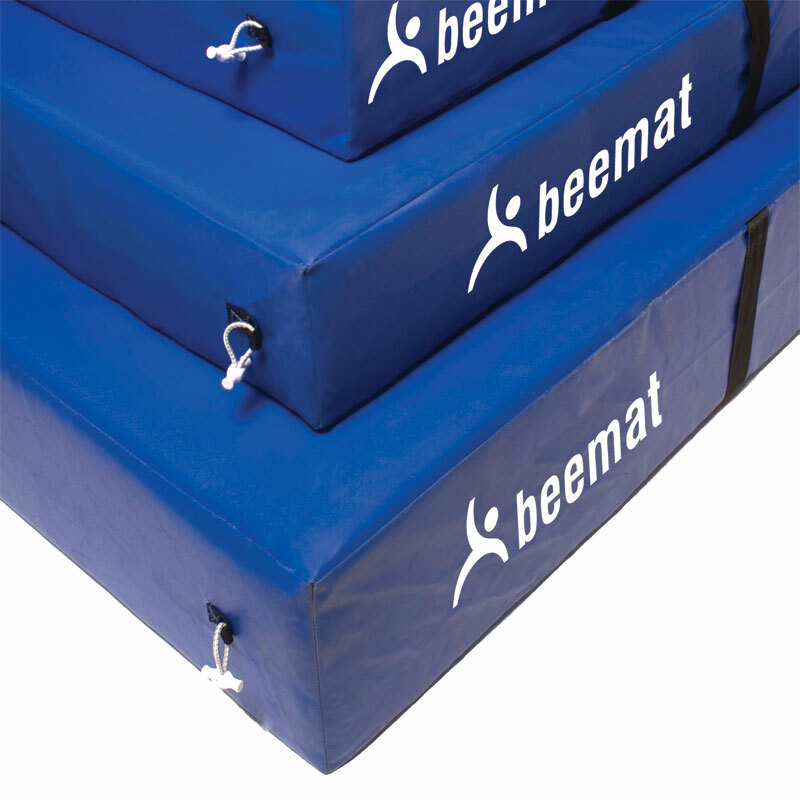 Incorporating breather holes, handles and connecting toggles allowing multiple mats to be linked together. Produced to British Standard BS1892-3:2003 for flammability. Design, material selection, and manufacture is carried out under our quality control system and monitored to ISO9001:2008. 1.82m x 1.22m x 10cm - 6" x 4' x 4". 1.82m x 1.22m x 20cm - 6" x 4' x 8". 2.45m x 1.22m x 20cm - 8' x 4' x 8". 2.45m x 1.38m x 20cm - 8' x 4'6" x 8". 2.45m x 1.22m x 25cm - 8' x 4' x 10". 2.45m x 1.22m x 30cm - 8' x 4' x 12". 2.45m x 1.38m x 30cm - 8' x 4'6" x 12". 2.50m x 1.25m x 25cm - 8'2" x 4'1" x 10". 2.50m x 1.67m x 25cm - 8'2" x 5'6" x 10". 3.05m x 1.53m x 30cm - 10' x 5' x 12". Bought this for my daughter to use at home. she uses it to bounce from her trampette and do flips and land on when she uses her bar. Nice and thick and good quality. Looks like it will last a long time. My son (age 9) saved his birthday money to buy this. He is beyond thrilled with it. It has given him the confidence to do back flips and forward flips. Really good quality and great price for a professional product. Delivery was marvellous - double quick. 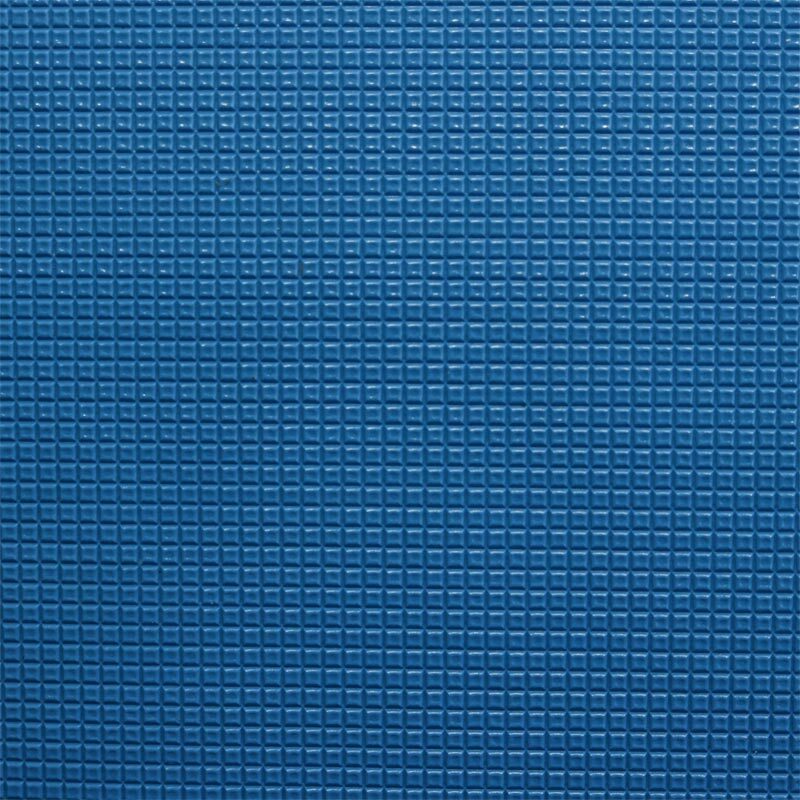 Mat itself is good quality and is suitable for heavy usage. Kids have not stopped using it.